A state of shock has shaken Brazil after the death of Marielle Franco, a female councillor in Rio de Janeiro, murdered last Wednesday while she was returning from a meeting concerning black women’s rights. The four bullets that hit her in the head were bought by the Federal Police of Brazil, leading some to believe that it was not simply murder, but an execution. Aged 38, the young left-wing activist, elected by the PSOL party, was one of the loudest voices in Brazil to condemn racism, sexism and the arbitrariness of police violence. 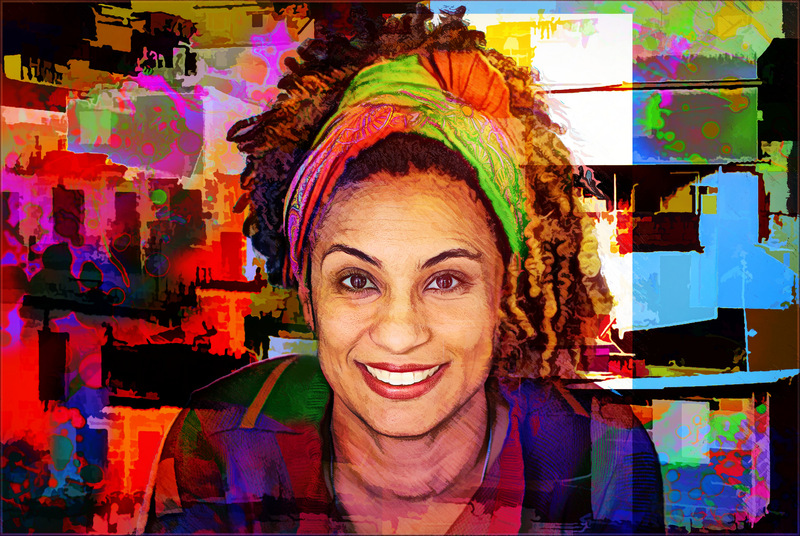 Black, female, a mother in adolescence and a member of the LGBTGI community, Marielle represented a segment of Brazilian society otherwise not used to having a voice. She was born in the Maré favela, one of the most violent in Rio de Janeiro, home to 140,000 people, and plagued by wars between drug traffickers and violent interventions by the Brazilian military police. Against all odds, she took a sociology course thanks to a scholarship, and became a political leader, dedicated to defending human rights. Recently, she also became a courageous voice against the policies of Michel Temer, the country’s President, and a strong critic of military intervention in the favelas of Brazil. She ultimately became a victim of the violence she spoke out against. Greatly affecting the lives of poor and black communities living in the favelas, where the right to security is non-existent, violence results in increasing already stark inequalities, and the figures are overwhelming. Although supposedly at „peace“, more people have been murdered in Brazil in the last five years than in Syria. Between 2012 and 2016, 279,000 people suffered violent deaths in Brazil, whilst the figure was 256,000 in Syria, a country currendly amidst a 7 year armed conflict. Furtherstill, political representatives and activists are frequent targets of violence: since 2016, a total of 36 councillors have been murdered in Brazil. The execution of Marielle Franco is an attack on freedom and an attempt at intimidation, striving to destroy the resistance she represented. However, perhaps what the authors of this ignoble crime did not expect was the reaction of Brazilian society. „In the moment Marielle died, thousands of Marielles were reborn,“ said a woman participating in one of numerous demonstrations, which, in recent days, have taken to the streets of Brazilian cities. Indignation is therefore giving way to a wave of solidarity and the rebirth of hope. Marielle’s struggle against impunity will thus have continuity in many other Marielles. They know that is the best way to keep her memory alive, so that at least, her death was not in vain.